Stirfry Bacon and Brussel Sprouts as a green and side dish for Thanksgiving. Chop bacon into small slices and fry in skillet until crispy, but NOT dry. 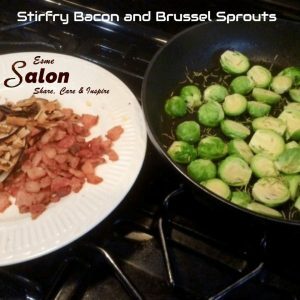 Fry the Brussel Sprouts in the same skillet as the bacon. Fry the coconut shavings in the bacon fat. If required, add a smidgen of VOO. Return to the skillet and continue to fry until tender to your liking. 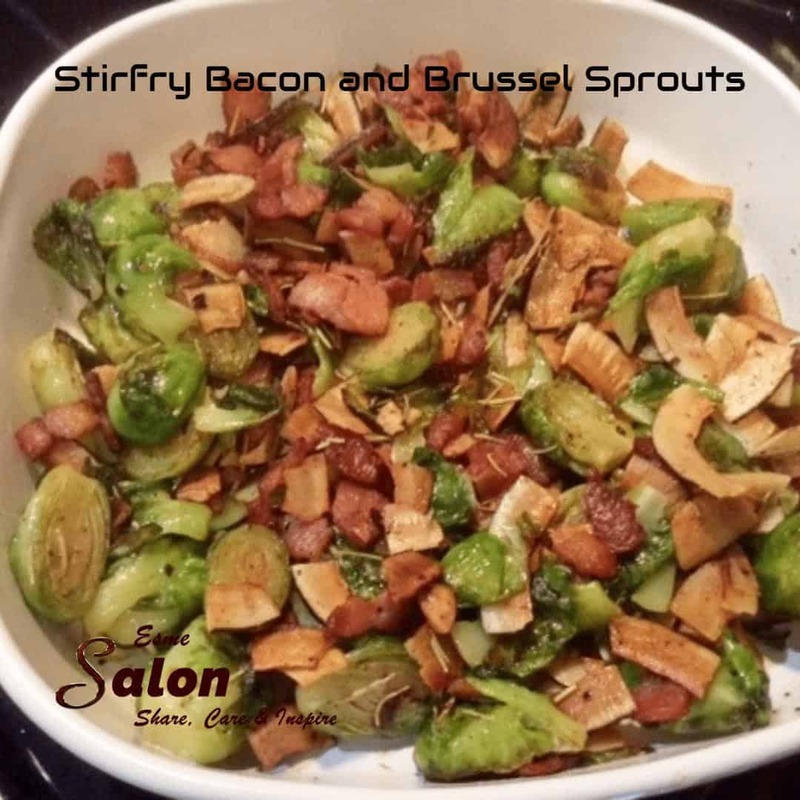 Spoon bacon and Brussel sprouts in a warm serving dish and garnish with the coconut.